Its one of my favourite times of the year. For the past 40 years its been a great holiday long weekend complete with the turkey dinner and all the flashing trimmings over at mom’s house. Back in the old days I’d get in the car and make the drive home but during those O Town years I remained in the city and missed the Thanksgiving feast, ten or more years. 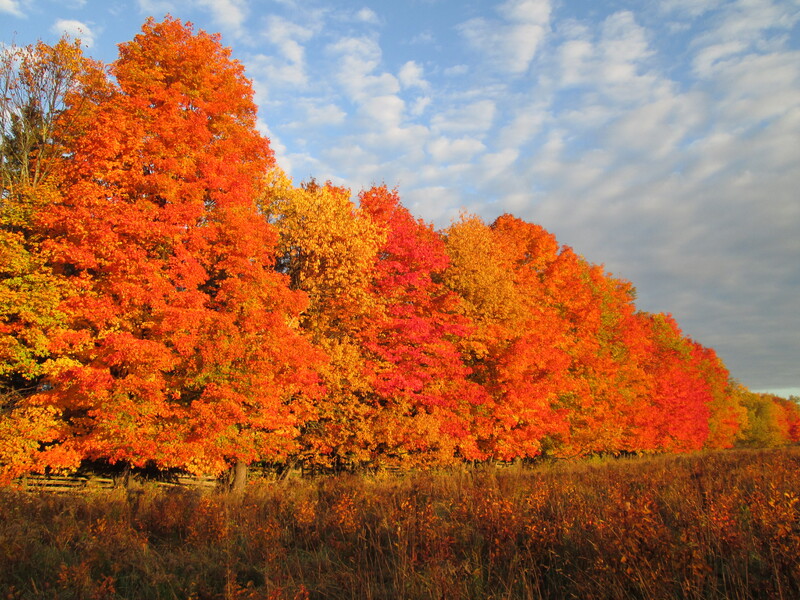 But now that we’re here full time, the drive home is a colourful fifteen minutes and up here where the maples are everywhere, colourful indeed! Ah yes, time for a glass of very full bodied red, a blaze in the fireplace, and a couple of late evenings with good conversation.